This week we find the Shema and V’ahvata, located in the opening chapters of Deuteronomy. We read the line: “V’shinantam l’vanecha—and you shall teach them to your children.” On the surface the meaning of this verse seems obvious. Parents are obligated to teach their children everything, in particular Torah. They are commanded to teach their children about their Jewish heritage. They are instructed to teach their children values. In Hebrew there is a common word for teach, m’lamed. Here the Torah uses the word, shinantam. This word derives its meaning from the Hebrew, to repeat. Why would the Torah use the word, repeat? Why would the Torah command that we repeat these words to our children? Are we to say the words of the V’ahavta over and over again to our children, and even grandchildren? As a parent I am certain that lessons will most certainly go unheard the moment I have to repeat them over and over again to my children. I say over and over again, “Do your homework. Clean your room. Call your grandparents.” These admonitions are greeted with nonchalance and more often than not go unheeded. Over the years I have learned that my worst parenting moments are when I resort to repeating myself. In that moment I am the only one who is listening to my words. Then what could the Torah intend? If repetition is the worst teaching method, then what could this unusual word choice mean? The Torah cannot be wrong. An insight must be hidden in its words. This is what I have determined. The best lessons are those that our children see us do repeatedly. Those actions that they see us do are the best Torah we can offer our children. This is what will prove most lasting. This is what the Torah means by its words, “Repeat them to your children.” The best teaching is what our children see us do, over and over again. If you want your children to be generous, give tzedakah. If you want your children to be learned, then let them see you read and even take classes. If you want your children to be committed to their health, then let them see you exercise. If you want them to find Judaism meaningful then bring Judaism into your own lives. Over and over, again and again, this is what our children must see us do. They discern what is most important by observing what we do. I am Rabbi Steven Moskowitz, the rabbi of Congregation L'Dor V'Dor, serving Long Island's North Shore. My congregation's services, classes and programs meet at our home, 11 Temple Lane in Oyster Bay. 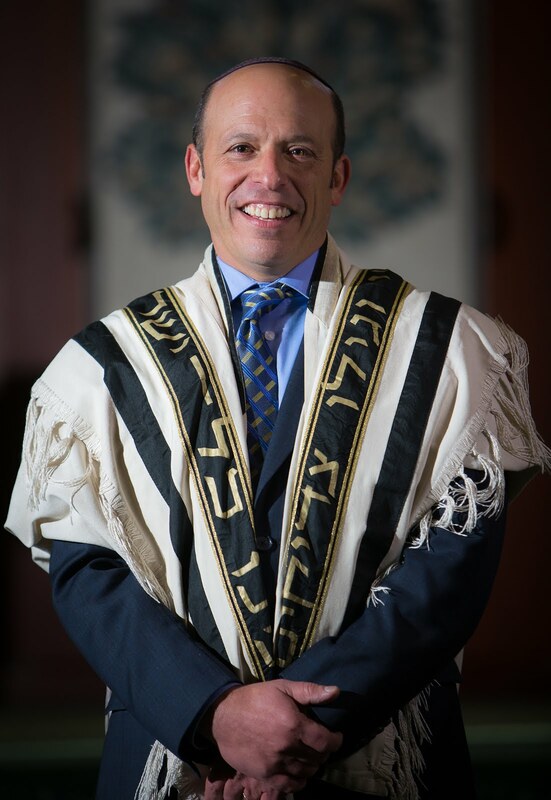 I have been a rabbi since 1991, beginning my career at Manhattan's 92nd Street Y. I am married to Rabbi Susie Moskowitz (Senior Rabbi of Temple Beth Torah in Melville) and the father of two adult children, Shira and Ari. Every Summer I travel to Jerusalem to learn at the Shalom Hartman Institute where I serve as a Senior Rabbinic Fellow. 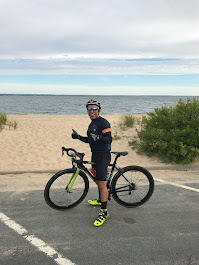 I am also an avid cyclist, swimmer and triathlete. Can Love be Reduced to a Mathematical Equation?